Another Monday, so another day to look at the trouble with writing. Like we need another reason to think Monday is terrible. At least this is sort of fun, right? Well, it is for me, anyway. Today, we’re looking at waiting expectantly. If you’ve read my past posts, you’ll know that last week I was getting ready to send out my manuscript to beta readers. Well, I sent it out on Friday. After I sent it out, I couldn’t help but think I had made the worst mistake in my life. I was about to freak out. I kept checking my email every five minutes, and surprise, surprise, none ever came. Yeah, you could say my anxiety was up. I was talking to one of my beta readers shortly after I sent it out. I talked to him a little about how I felt after sending it out, and while I was really tempted to ask if he had started it and what he thought, I didn’t. I didn’t want to be annoying. You don’t ever want to be annoying with it. 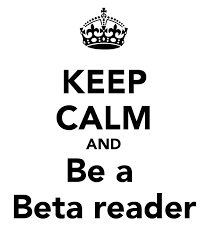 Don’t bombard your beta readers. That just slows you down. Just yesterday, I was talking to another beta reader. We were joking around like the good friends we are, and then all of a sudden he started asking me all these questions about my book, and my heart was pounding. I knew he was starting to read it. And then, to make it worse, he actually said he was. I wish he hadn’t said that. I had just gotten past the initial anxiety level. But I usually talk to him most days anyway, so maybe he’ll keep me updated, maybe he won’t… That’s his choice. I’m not going to be the one to bring it up. I hope. That’s the trouble, isn’t it, writers? We want to know what people think, but we don’t want to know what people think. I’ll know what they think in a month. We’ll see what happens, and I will definitely keep you updated. And just think…it could very well be just 162 days until I hit publish!